Depeche Mode will take center stage February 17th, 2010, at London’s Royal Albert Hall, for a special charity concert to benefit the Teenage Cancer Trust, a UK charity helping teenagers fight cancer. 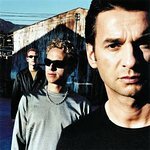 This unique event marks the first time in their career that Depeche Mode will play at Royal Albert Hall. Depeche Mode will be donating all proceeds from their one-off show to help raise funds for desperately needed specialist teenage cancer facilities. Since they began in 2000, Teenage Cancer Trust’s concerts at the Royal Albert Hall have raised over £8.7million to help teenagers fight cancer. 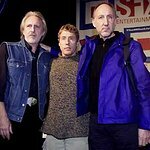 “When The Who first got together in 2000 to raise money for this brilliant charity, I had no idea we’d achieve so much from these shows: £8.7million to date and still counting," said Roger Daltrey CBE, Patron of Teenage Cancer Trust. Tickets, which went on sale December 18, sold out in less than four minutes, but it’s not too late to get a piece of the action. To commemorate the prestigious show, Swiss watchmakers Hublot have donated 12 watches, each one representing a different Depeche Mode album cover. The one of a kind and specially made pieces will be auctioned off with all proceeds going to the Teenage Cancer Trust. For further information on the auction, click here.